Continue the march of girls participating in the U15 Regional Representative Tournament for Women organized by the Youth and Scholastic Sector. In fact, the third stage of the preliminary phase of the tournament ended with the regions in the north-east: South Tyrol, Emilia Romagna, Friuli Venezia Giulia, Trentino and Veneto. The tournament races, which took place in the splendid setting of the sports facility of the sports club Sas Casarsa in Casarsa della Delizia, in Friuli Venezia Giulia, determined that the final phase of the tournament, which will take place in Cervia and Cesena from the 26 June at the 3 July, will be Emilia Romagna and Veneto (due to the victory in the direct clash with Alto Adige, finished on equal points in the final classification). Saturday 7 and Sunday 8 May were held the first tournaments for the Regional Under 15 Women's Representative Tournament, organized by the FIGC Youth and Scholastic Sector as part of the projects dedicated to the development of Juvenile Women's Football which this year began paying tribute to Lombardy, the region that won the competition last year. The Tournament takes place in two phases, a first interregional preliminary phase, which is carried out through 4 groupings composed of 5 teams each, and a second final phase in which the best 8 teams participate (2 representing each group). The event is reserved for the Regional Female Representatives of the U.15 category, from which are selected 36 players who will participate in the internship dedicated to them in the month of July. Baldi (Mozzanica) scores and drags Lombardy to the triumphal victory against Emilia Romagna. 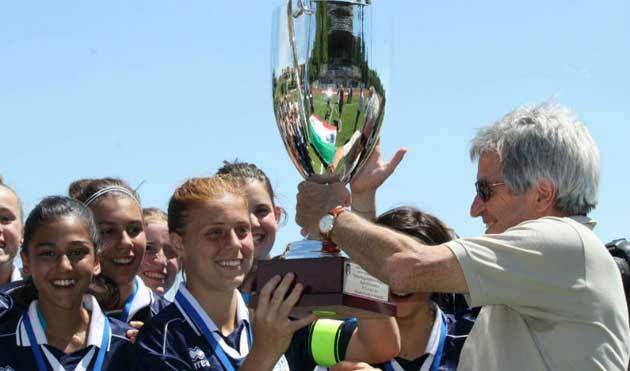 MONTEPULCIANO - The girls under 15 of the women's tournament for regional representatives are protagonists in Montepulciano on the final day of the national football finals FIGC - Youth and Scholastic Sector. At the Bruno Bonelli stadium, the title is won by the selection of Lombardy, which overtakes the Emilia Romagna team in the final: 1-0 the score set by the network of Sara Baldi who scores with a shot from the outside in the first third of the match. In the vibrant challenge for the 3 ° and 4 ° place, Lazio had instead adjusted the Marche for 4-2, at the end of a race conducted on both fronts with competitive intensity and technical ability. UNDER 15 REGIONS TOURNAMENT: FROM 22 JUNE YOU PLAY! Everything is ready in Chianciano Terme for the final round of the Under 15 Regional Representative Tournament. From the 22 to the 29 June the promises of our football will meet, in the usual in fact in Siena, to play the top step of the podium. Nice game and show are the main ingredients of this event that is renewed from year to year in support and promotion of women's youth football. An appointment for all the professionals who will meet in the welcoming spa town to discover new talent to grow and launch in the future years in national football. But let's see the verdicts of the preliminary phase, disputed in 4 groups, divided by territorial proximity, valid for qualification to the final phase. Read more: UNDER 15 REGIONS TOURNAMENT: FROM 22 JUNE YOU PLAY! 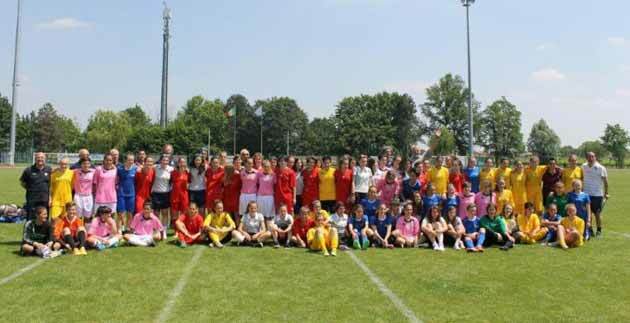 The Youth and Scholastic Sector of the FIGC also organizes for the 2014 season the Regional Under 15 Women's Tournament, which includes young players representing the 20 regions and the San Marino Football Federation, as specified in the regulation published with the official press release nr 6 February .26 to 1, 2, 3, and 9 points.